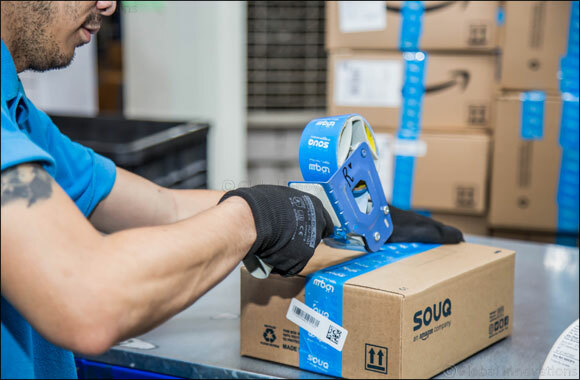 Dubai, 17th December 2018 – SOUQ.com, an Amazon company, announced today that it has opened a new fulfillment center (FC) in Dubai. The new 23,000 square meter, cutting edge facility, is the latest example of the company’s continued investment in the UAE, focused on meeting the growing customer demand across the Middle East. The new facility is also set to benefit regional sellers, including the thousands of small and medium businesses who sell on SOUQ.com, by ensuring that they are able to reach their customers faster. The new facility will also help SOUQ meet is objective of growing selection and improving convenience for its customers. As a result of the new fulfillment center, over 600 new jobs will be created within the first year of launch, bringing the total number of SOUQ’s fulfillment centers in the UAE to three. The new Dubai fulfillment center, along with the existing FCs, will enable SOUQ to handle the current and future demand in the UAE, where a growing number of customers choose SOUQ for their purchases. Sheikh Ahmed bin Saeed Al Maktoum, Chairman of Dubai Airports; President of the Dubai Civil Aviation Authority; Chairman and CEO of Emirates Group, welcomed the announcement and commended the continued growth and expansion of SOUQ in Dubai: “The logistics sector in Dubai South is seeing double-digit growth year-on-year and we are glad that a leading global e-Commerce player like SOUQ is investing to build more facilities and capacity in Dubai.” His Highness emphasized that the Government of Dubai provides flexible and adaptable legislations and specialized clusters to empower new business models and drive entrepreneurship in e-Commerce. “Dubai’s strategic advantages for global trade and supply chain efficiency serve the interests of foreign investors looking for opportunities in the growing e-Commerce ecosystem in the Middle East and North Africa region,” His Highness added. Fulfillment by SOUQ (FBS) enables sellers to have SOUQ store and ship their products directly to customers, while offering services such as Cash on Delivery, Next-Day Delivery, and Friday delivery (for home). With FBS, SOUQ also provides customer service and manages returns on behalf of the sellers. Sellers have the flexibility to choose the number of products they want to have fulfilled by SOUQ and scale according to their business requirements. All customers on www.souq.com and the SOUQ mobile shopping app have an easy and convenient access to over 8.4 million products across hundreds of categories. They benefit from a safe and secure ordering experience, convenient electronic payments, Cash on Delivery and SOUQ’s Customer Service support.